White card with baby girl teddy bear dressed in a pink tutu. Baby blocks, toy and ball on the ground. Yellow stars in the background. 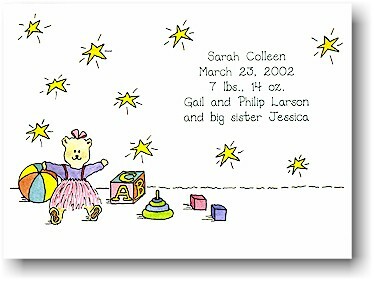 White flat card with baby girl bear wearing a pink tutu next to a colorful ball.